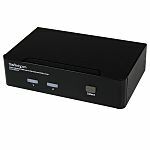 A KVM (keyboard, video and mouse) switch or sometimes referred to as a server switch or CPU switch is a hardware device that enables a user or multiple users reliable access to control a number of computers using a single keyboard, monitor (video display) and mouse. 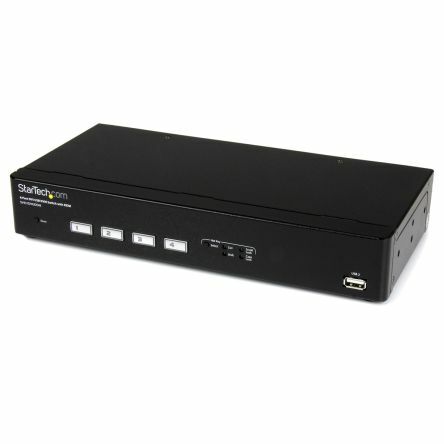 A KVM switch pushes multiple video and peripheral signals and produces a single output to a single keyboard, video or mouse, allowing for quick access to several computers and data sources. 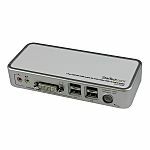 Some KVM switches allow users to alternate audio and USB devices between computers and many are designed for connections of up to thousands of users and servers controlled from a single console. 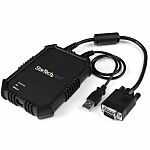 When are KVM Switches used? Control multiple computers: KVM switches are commonly used in environments when you need to control multiple computers like in a data centre. With a single switch, the administrator can alternate access from one computer to another. Multi-user computer control: by using a KVM Matrix switch, multiple users can control one to many shared computers, enabling cross-functional access to data. 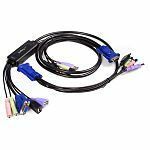 What are the different types of KVM Switches? 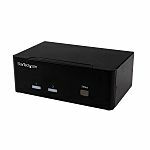 DisplayPort KVM switch: are becoming increasingly popular as video display manufacturers are moving away from DVI-I and VGA. 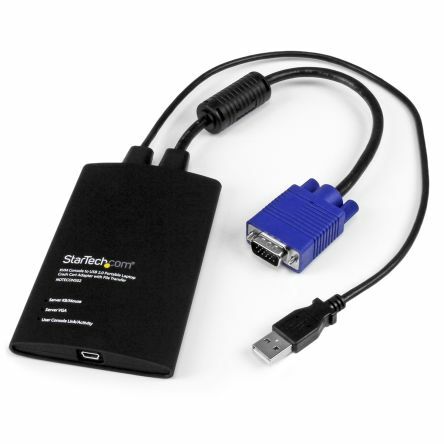 DisplayPort KVM switches are beneficial for peripheral sharing. 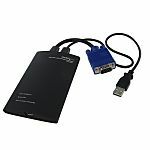 This setup allows users to share many USB peripherals across all computers. 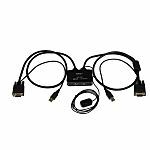 DVI KVM switch: used with DVI compatible monitor(s). 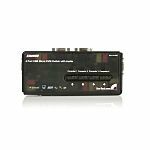 These are intended to deliver reliable digital video capabilities, providing a better solutions by overcoming resolution limitation of VGA formats. 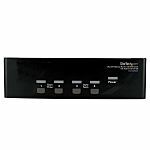 The switches can work with either single or dual link DVI-D or DVI-I and can also offer reverse compatibility. 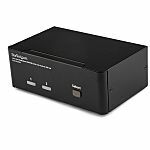 This can be useful for those users who need to work with high-performance workstations. 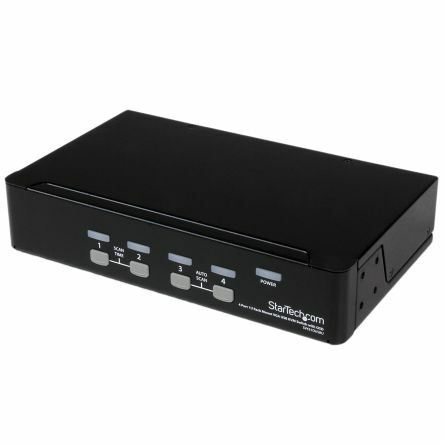 HDMI KVM switch: this is an ideal switch for those looking for HDMI signal switching that does not affect video quality. 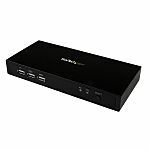 The HDMI KVM switches are known for quick switching without interruptions. 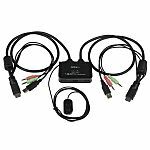 They are commonly used in broadcasting, medical imaging, home and commercial theatres and digital signage. 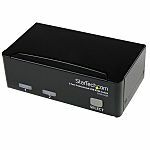 USB KVM Switch – A common type of switch that uses USB cables for keyboard video & mouse connections, some models will also work with PS/2 connectivity and allows for audio sharing and wireless connectivity. 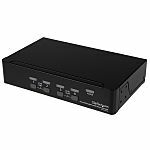 KVM-over-IP switch: these types of switches give users access or monitor multiple PCs and servers in a dedicated network, LAN or even over a WAN from anywhere with IP remote access. 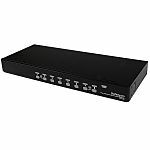 KVM/IP Switch are mostly found in medium or large data centres who need multiple users to monitor several computers or servers.